With advancing technology, web has integrated in the human life. Today, people are dependent on web from banking to shopping, to reading online news. This dependency is calling for a rise in web development. Many web development company Canada are also contributing different new and advanced technology to web development. Artificial intelligence has been prevalent because of its capability to map the human intelligence. It has gained much advances lately due to which it is expected that it can shape the future for good. The world’s huge tech companies which include Google, Facebook and Microsoft are readily adapting and relying on artificial intelligence technology. Artificial intelligence is also being used to improve functionalities of different search engines. Since there is easy accessibility to AI tools, it is expected that the web developers may incorporate AI in a different and innovative ways. Virtual reality or VR has emerged and being greatly used in gaming industry. Vive and Oculus Rift are the examples of incorporation of VR into the gaming app industry. Different web browsers are using VR technology on APIs. It is expected that virtual reality technology may hit in the apps covering from news to real estate. IoT or Internet of Things has enabled various non-Internet connected objects to be connected in a single network. The web developers have started using IoT on API in the web development process so that innovative apps may be built. The major concern that developers face while using IoT is that of security. With the help of static website generators, the developers can create good websites out of plain text. This text is stored in files rather than in databases. Some generators like Jekyll allow increased speed, high security as well as easy deployment of static websites. The major disadvantage is that it does not have any real time content because of its static nature. The developers can effectively use static website generators by separating templates from markup. 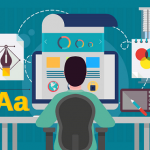 The tech field is expected to experience different web designs this time. Movement-based interfaces may transform into staple on the web. Thee may be use of bold typography by the designers to make the user interface more appealing. Also, the apps can also be developed to engage videos or storytelling visuals which can help the user to access information quickly. iQlance Solutions is a team of highly skilled and talented web developers and designers. The developers at iQlance can bring imagination into existence while designers can make the app user-friendly and highly interactive. 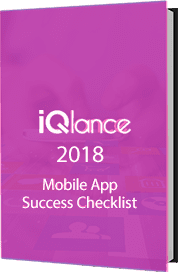 This contributes to making iQlance Solutions as a successful web development company. Canada-based digital agency, Lounge Lizard specializes in web development by creative strategy and cutting-edge technology. The workforce of the company possesses extreme creativity to fulfil the vision of the company. It aims to bring out the best final product for its client by making the product fashionable as well as exciting. Established in 1991, ELEKS is a web development company. It helps in digitally transforming the business by providing best software engineering services along with consultancy services. It has contributed its innovative products to many big enterprises. Its workforce is continuously working on updating its talent as well as polishing it. DockYard Inc. is a Canada-based company which specializes in digital product innovations. It offers excellent strategies along with great designing as well as custom software consulting. 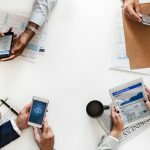 It has worked in collaboration with great brands like Netflix, Zipoar, Apple, Harvard, Mc-Graw Hill, CollegeVine, MassMutual, Fidelity Investments and other funded startups. It helps the organizations to transform its complex innovative ideas into well-deployed web applications. Xtreem Solution excels in delivering perfect web applications. It is a popular web development company. It builds web as well as mobile solutions. The workforce at Xtreem is well versed with the advanced technology, which further helps in growth of different startups, funded small businesses as well as enterprises. The workforce is skilled and has the perfect knowledge of technology like Artificial intelligence, Big Data, Virtual Reality, and Augmented Reality. Established in 2002, Netmaxims Technologies is basically a web as well as mobile development company. It has a workforce of highly qualified and highly skilled IT professionals. Its basic expertise is in SEO and digital marketing. 247 labs is a web development company which has a trained team of developers as well as designers. The workforce is experienced enough and follows hybrid approach to provide its clients the best development projects. 247 labs is serving the technological industry since 2013 and has worked with various agencies, small businesses as well as startups. Thus, it is a great team to provide the best development solutions. 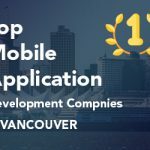 INGIC is a mobile as well as web development Canada-based company. It promises to deliver the best development as well as design through firm strategies. It has a talented as well as dedicated workforce which has the capability of converting small ideas to great products. It provides robust solutions to its clients. Dev Technosys is excellent when it comes to web development because of its quick implementation and effective communication style. It has a workforce which provides great tech solutions, in accordance with the vision of the company. It has stimulated its growth by diversifying into various operations. It is ISO 9001:2008 certified development company. NOTO is a great hub of skilled as well as domain-expert web developers. These web developers have immense knowledge and can work on latest web development frameworks. The workforce at NOTO is globally acknowledged. Techugo lets the technology surpass the imagination. The developers at Techugo can work at high speed with greater accuracy to provide the best web development projets to its clients. The company encourages its developers to learn as well as utilize maximum potential to create digitally innovative apps. 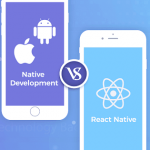 The developers can work on both Android as well as iOS platforms. Established in 2011, Debut Infotech is a leading web development company Canada. It provides different services like app consultation, high quality user interface design along with SaaS offerings. Debut Infotech also makes use of blockchain technology to make the apps run more smoothly. Maestro Digital aims to make a simple idea into an impactful brand. It has a team of great IT professionals which can creatively design and develop the apps digitally. The workforce at Maestro helps in strategically planning the branding as well as positioning of the app. The invention workforce aims to solve complex situations providing good solutions to the clients. Mobisoft Infotech can help in discovering the mobility solutions. It is a web development company which provides cloud services as well. It has worked with various startups, small and medium enterprises. The developers at Mobisoft can develop the app for both Android as well as iOS platform. 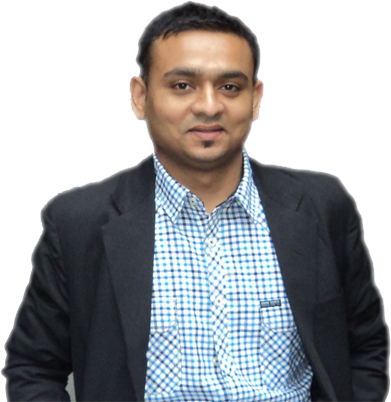 They aim to provide the best product development to the clients. INTERSOG helps to give premium digital solutions cost-effectively. Established in 2005, it is a leading web development company . It operates in more than 150 locations all over the globe. It provides various services to its end users with the help of advanced technologies like Big Data, IoT, Cloud computing and wearable tech. It helps the small business to become brands by deploying high quality services to the customers. We completely understand your business category and create a website, which is according to your site requirements and lets you stand apart from the crowd. our team has specialize in web designing and development. 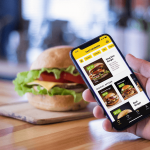 Why iPhone Application is Better Platform for your Startup?